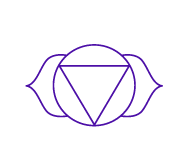 The Third Eye Chakra offers flexibility of thought and a balanced, positive outlook on life, transcending judgment and polarity. Learn more about Chakra energy balancing. You need to be open minded when introduced to a modality of work that is foreign to your experience. Therefore, in an effort to help you become more open minded, I wanted to share with you some case studies of people whose lives I've enriched with spiritual healing in Milwaukee and elsewhere. This will give you an idea of how removing trapped emotions works and also give you an idea of the possibilities. If you read the answer to the question, “Will it work if I don’t believe it?” on the FAQ page of my website, you will understand that how deeply you believe that you can affect your energy will determine how fully this modality can work for you. I have worked with people who were skeptical, but as the good results came in, they began to understand that spiritual energy healing works. Results will always help you to open your mind and your perspective on life – seeing is believing! To begin your personal journey from Milwaukee, Madison, Waukesha, Racine with spiritual life coach Kathryn Hill live, use the online Wisconsin energy healer contact form or call 262-442-4226. Other locations may use the same contact methods for phone or Skype-based spiritual healing sessions.